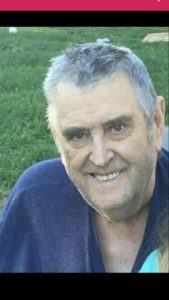 William W. McCreery passed away Wednesday, January 30, 2019 at his home in Mason City surrounded by his family. Bill was born on July 31, 1937, the son of Walter and Helen (Garrison) McCreery. He married Janet Trabue on January 11, 1959. She preceded him in death on November 16, 2014. Bill farmed for many years before retiring and starting a part time job at Oney’s Foods as the Produce Manager. Darla (Kent) Meyer of Mason City, Becky (John Graham) Hodges of Mason City, David (Tina) McCreery of Wisconsin, and Amy (Matt) McDewell of Mason City. 7 grandchildren, 4 great grandchildren, and his beloved dog Hades also survive. He was preceded in death by his parents, wife, brother, and one grandson. Cremation rites have been accorded by Holland Barry & Bennett Funeral Home, Lincoln. A celebration of life will be held at the Mason City Community Chapel on February 4th at 7PM. A memorial visitation will be from 5-7 PM also on the 4th. Memorial donations may be made to the family to defray costs for final expenses.